2 Bracelet Patterns and Shapes Bracelets and Helpful Hints Document included. This listing is for the patterns only & Hints document. 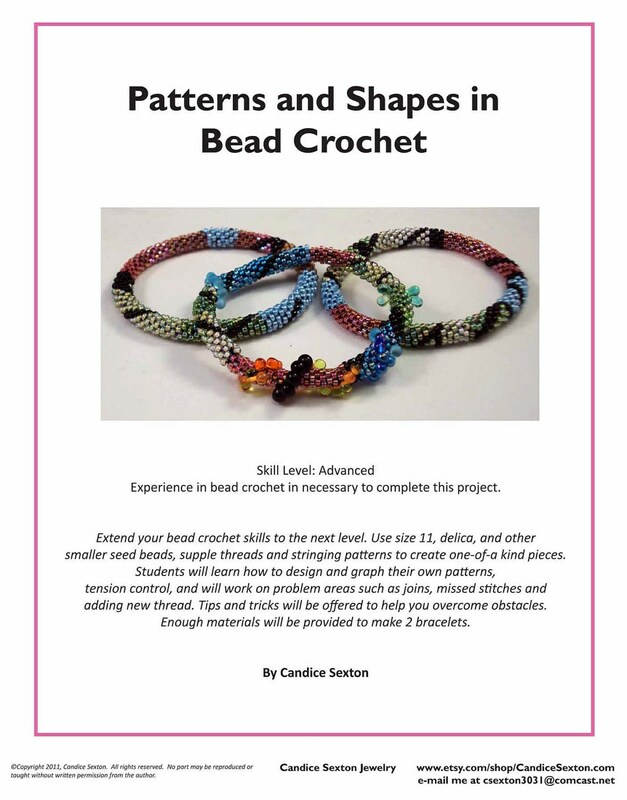 The patterns include the bead stringing count, thread type and weight, how to size your bracelet, use an invisible join, hints on how to do bead crochet and many others suggestions for bead crochet. These bracelet patterns use size 11, 11 Delica & 15 seed beads, drop and dagger beads in various color combinations, high-quality color coordinated thread in size 40 weight, and a special threading big-eye needle from Japan not readily available for stringing on smaller size beads such as size 15's. ** BONUS ** Now includes the "Helpful Hints" document! 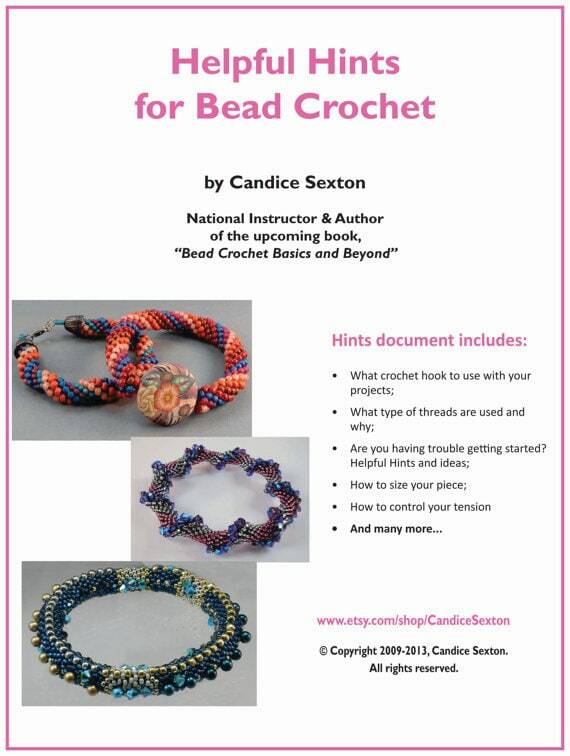 This bracelet pattern is also in the book, "Bead Crochet Basics" on this site!